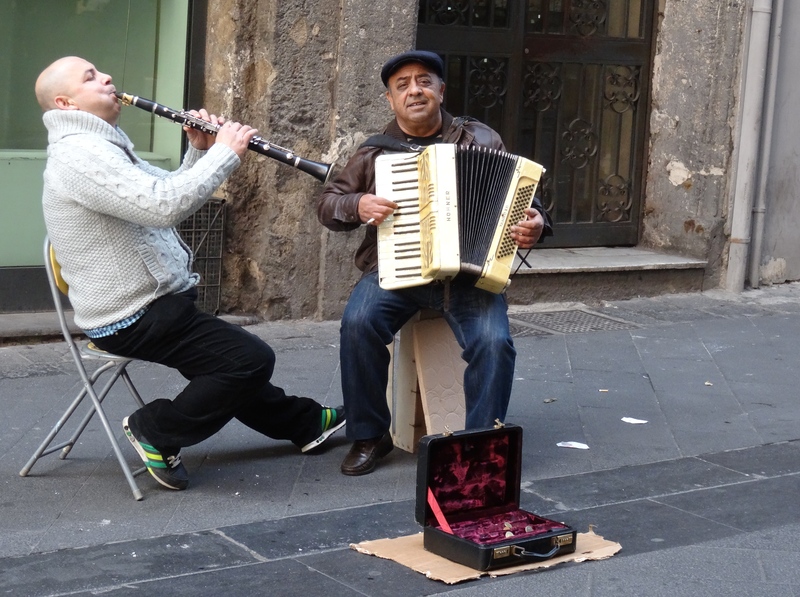 Naples loves to have music – classical music, world music, new music, Neapolitan songs – music from palazzo to piazza, music that breaks your heart and throws you up to the sky all at once. Take a stroll down Via Toledo any day of the week and the chances are that somebody somewhere will play you a tune and they’ll play it well. This entry was posted in Italy, Music, Naples and tagged buskers, conservatories, Italy, Music in Naples, Naples, Teatro di San Carlo. Bookmark the permalink.